← Mahalo-enhanced Yahoo! Search: Hey, you got your Mahalo in my Yahoo! 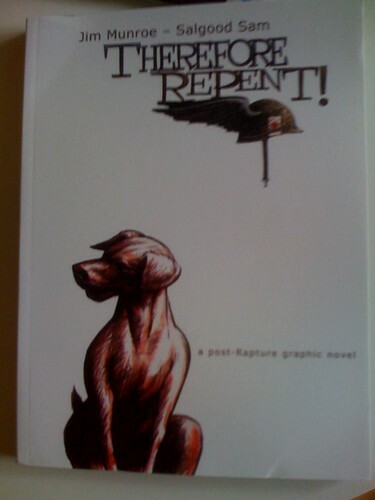 I received Jim Munroe‘s Therefore Repent! in the mail on Thursday. After getting home from work around 7 o’clock, I read half of the book before Kristin, Mags, and I went to see Indiana Jones. I’d read the entire thing before falling asleep Thursday night. I highly recommend it. This entry was posted in Reading and tagged jim munroe, therefore repent. Bookmark the permalink.